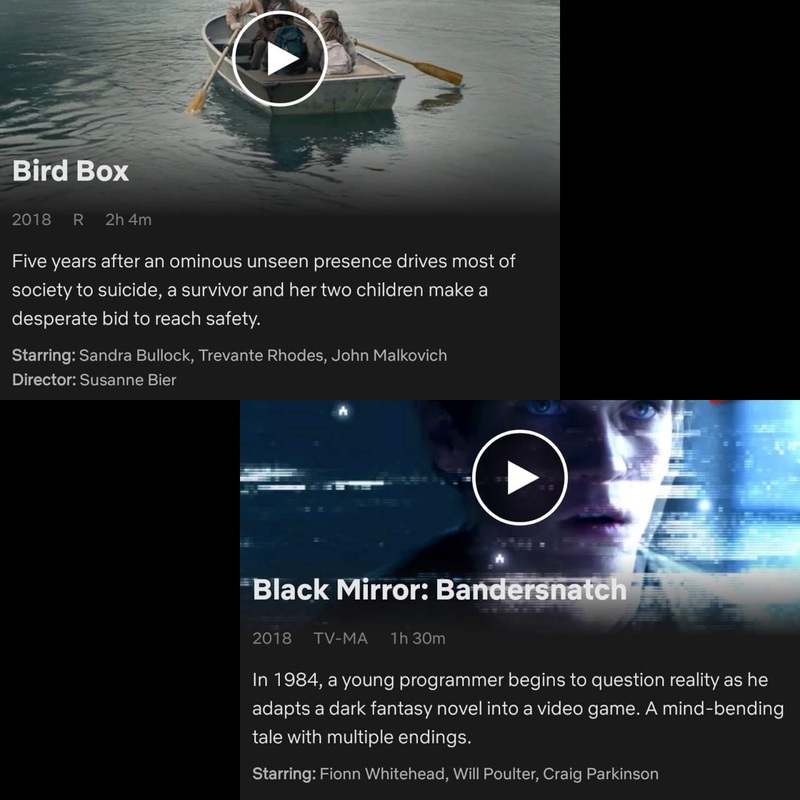 For this week's film reviews, I watch Bird Box and Black Mirror Bandersnatch. For bonus topics, I also watched the trailers for 2020's Ghostbusters, Spiderman Far From Home and John Wick Chapter 3 Parabellum! The next film review will be Thugs of Hindostan and while I'm still watching Heroes, I'm almost done with season 1 so only 3 more to go till I'm done.